Wherever you are now, if you are characterizing me as a cruel landlord for razing your fine home, I don’t think you have a leg to stand on. (I know, you have two. It’s a figure of speech.) We had no contract. 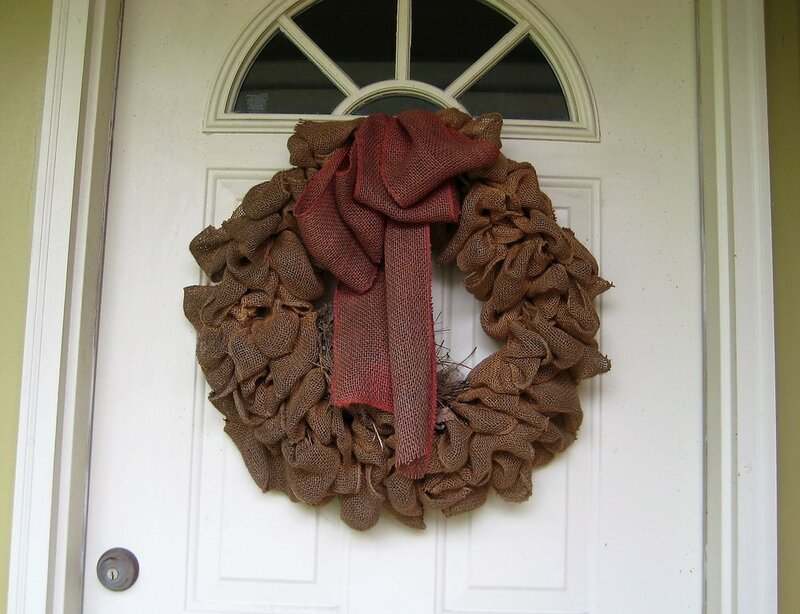 Indeed, I did not know you had built your home in the front door wreath until I got ready to replace it. You may have noticed that door is frequented only by solicitors and dim-witted delivery people. The wreath, having seen better days, really has to go. 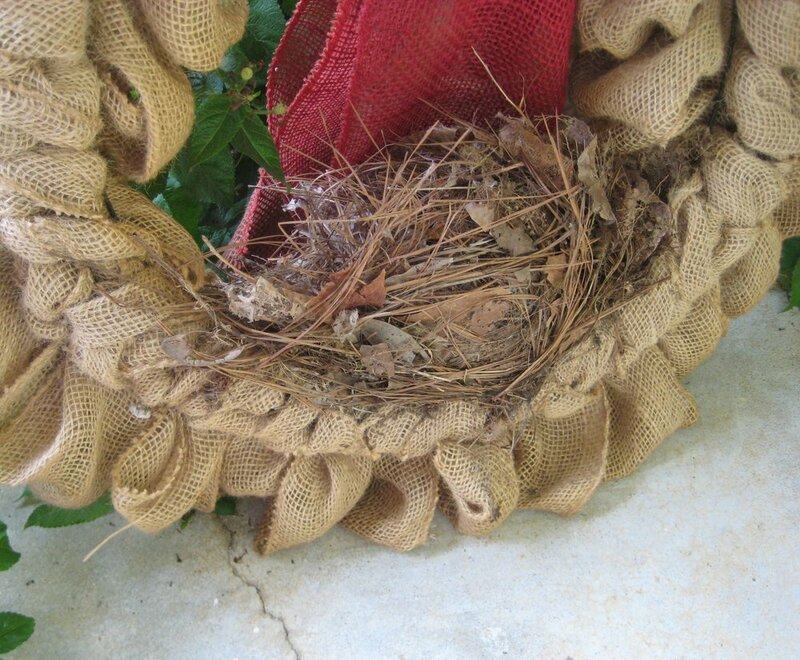 I admit it was clever of you to hide your nest behind the once bright red bow, blending into the natural burlap of the body of the wreath. I have to wonder how many babies you raised and why I never noticed your comings and goings. Now, back to that nonexistent contract, residents like you have sometimes been labelled “squatters,” a term with derogatory overtones. Considering your contribution to my life, since I am a person with a generous nature, I’m giving you some credit. I’ve loved your birdsong, especially when its wakeup call supplanted the raucous alarm clock. I’m also assuming you have rid my yard of numerous mosquitos, so I’m willing to call it an even deal for the present. In the future, we can continue without a contract and work from a friendly mutual understanding. Help yourself to the materials you seem to love and which I have in abundance – pine straw, oak leaves, and dryer lint. I would suggest that you find a safer place to rebuild in one of the many trees surrounding the house or under the eaves of one of the buildings out back. Your wakeup song will do nicely for rent, and I hope you enjoy your feast on those mosquitos.